The years following the Cultural Revolution saw the arrival of television as part of China’s effort to ‘modernize’ and open up to the West. Endorsed by the Deng Xiaoping regime as a ‘bridge’ between government and the people, television became at once the official mouthpiece of the Communist Party and the most popular form of entertainment for Chinese people living in the cities. But the authorities failed to realize the unmatched cultural power of television to inspire resistance to official ideologies, expectations, and lifestyles. The presence of television in the homes of the urban Chinese strikingly broadened the cultural and political awareness of its audience and provoked the people to imagine better ways of living as individuals, families, and as a nation. Originally published in 1991, set within the framework of China’s political and economic environment in the modernization period, this insightful analysis is based on ethnographic data collected in China before and after the Tiananmen Square disaster. 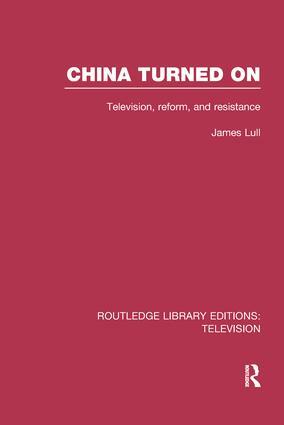 From interviews with leading Chinese television executives and nearly one hundred families in Beijing, Shanghai, Guangzhou, and Xian, the author outlays how Chinese television fosters opposition to the government through the work routines of media professionals, television imagery, and the role of critical, active audience members.